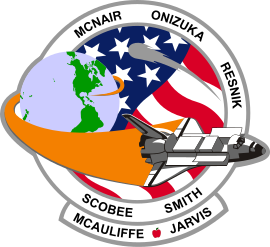 1 February 2003, 09:00:18 a.m., Eastern Standard Time: Space Shuttle Columbia, nearing the end of Mission STS-107, traveling Mach 19.5 (13,434 miles per hour, 21,620 kilometers per hour) at 209,800 feet (63,950 meters) over Texas, suffered catastrophic structural failure and disintegrated. 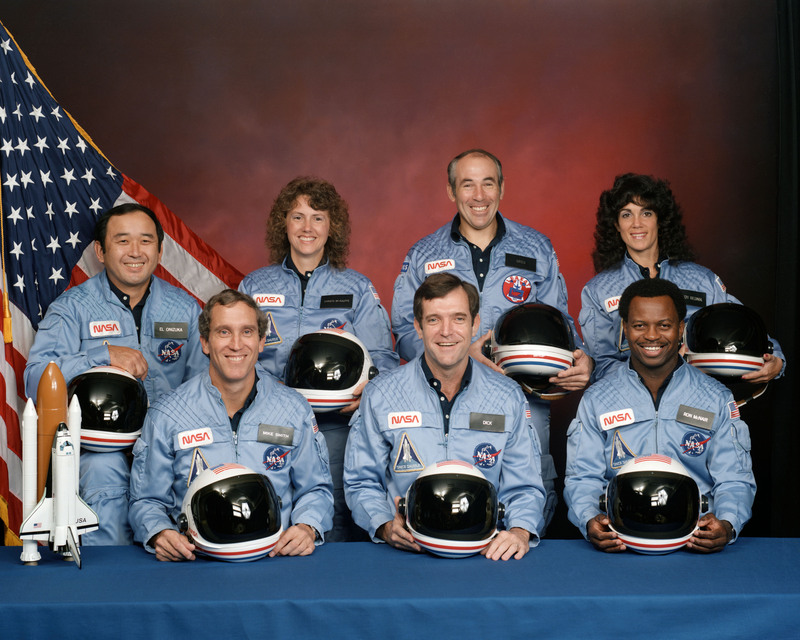 All seven members of the crew were killed. 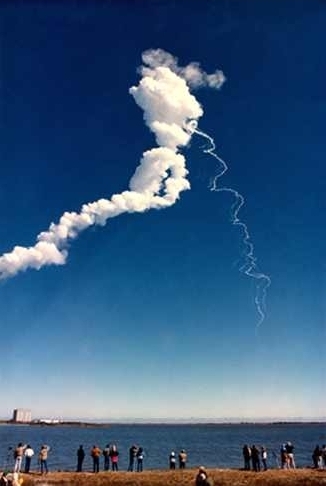 81.7 seconds after liftoff on 16 January, Columbia was at approximately 66,000 feet (20,100 meters) altitude and 12.5 miles (20.1 kilometers) down range, accelerating through Mach 2.46 (1,623 miles per hour, 2,612 kilometers per hour). Several pieces of insulating foam broke off of the external fuel tank (what NASA referred to as “foam shedding”) and struck the leading edge and underside of Columbia‘s left wing. It is believed that at least one of these pieces of foam punctured a hole in the wing’s surface, estimated to be 6 inches × 10 inches (15 × 25 centimeters). During reentry, the internal structure of the wing was no longer protected by the heat resistant material of the leading edge. The extreme heat caused structural failure. 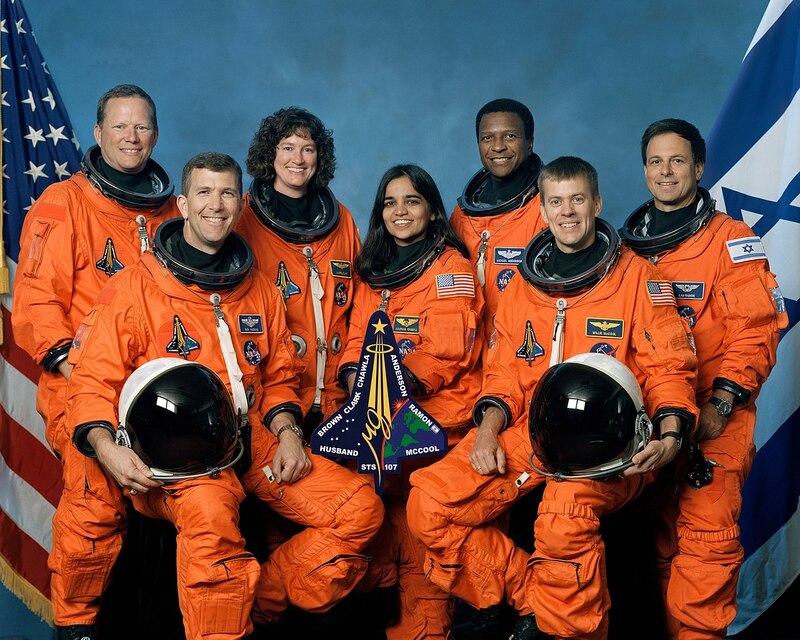 Columbia (OV-102) was America’s first space shuttle. It flew into space for the first time 11 April 1981. 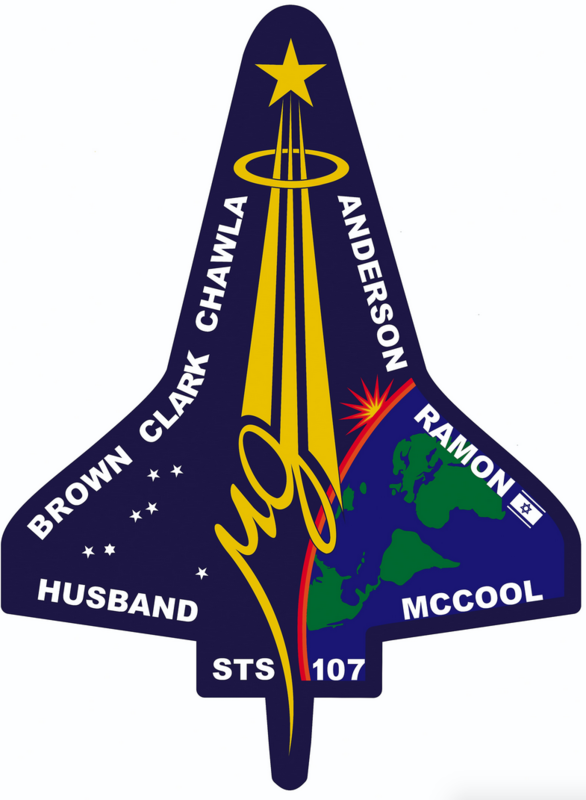 STS-107 was its 28th flight. During those missions, Columbia orbited the Earth 4,808 times and spent 300 days, 17 hours, 40 minutes, 22 seconds in space flight. 160 astronauts served aboard her. She traveled 125,204,911 miles (201,497,722 kilometers). 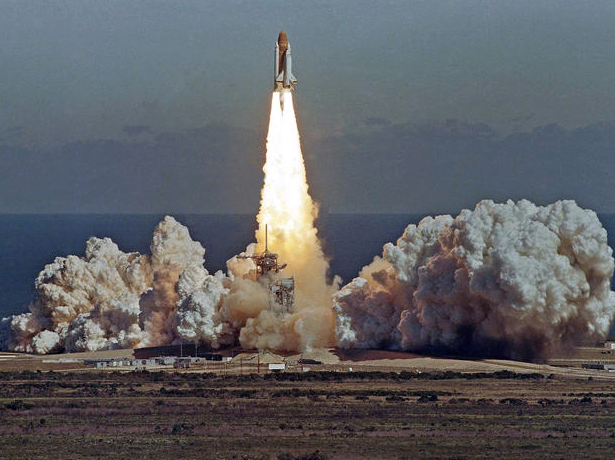 28 January 1986, 11:38:00 a.m. (EST): The Space Shuttle Challenger (OV-99) lifted off from Launch Complex 39B at the Kennedy Space Center, Cape Canaveral, Florida, on Mission STS-51L. At liftoff, an O-ring seal between segments of the right Solid Rocket Booster (SRB) began leaking. Superheated gases breached the seal and began to burn laterally. The venting rocket exhaust burned through the SRB attachment strut and into the liquid hydrogen tank in the lower section of the External Tank. 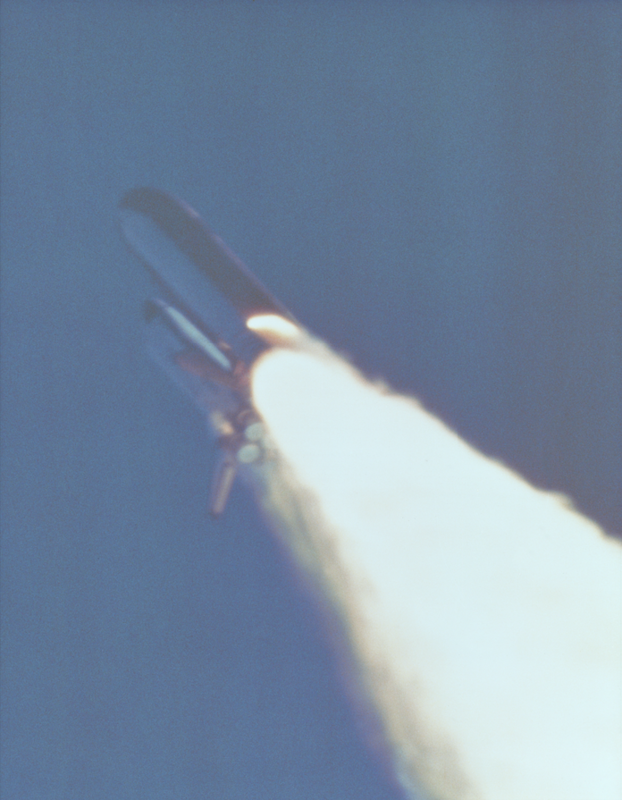 The aft portion of the liquid hydrogen tank failed and drove the tank vertically upward into the liquid oxygen tank. Both tanks ruptured and the propellants detonated. 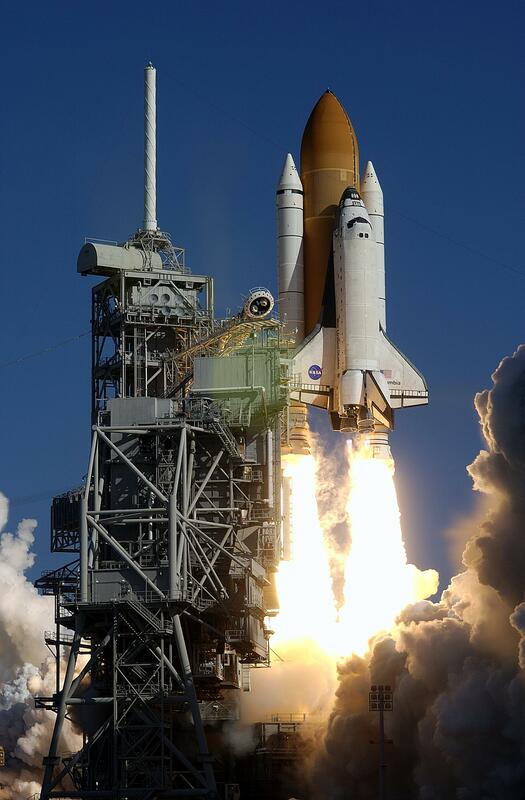 1 minute, 13 seconds after liftoff, Challenger was accelerating through Mach 1.62 (1,069 miles per hour, 1,720 kilometers per hour) at approximately 46,000 feet (14,020 meters) when the explosion of the external tank caused the space shuttle to suddenly veer away from its flight path. 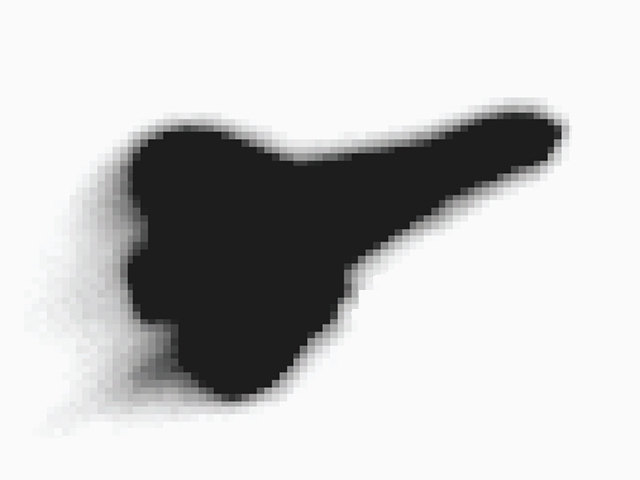 The shuttle was subjected to aerodynamic forces far beyond its design limits and it was torn apart. 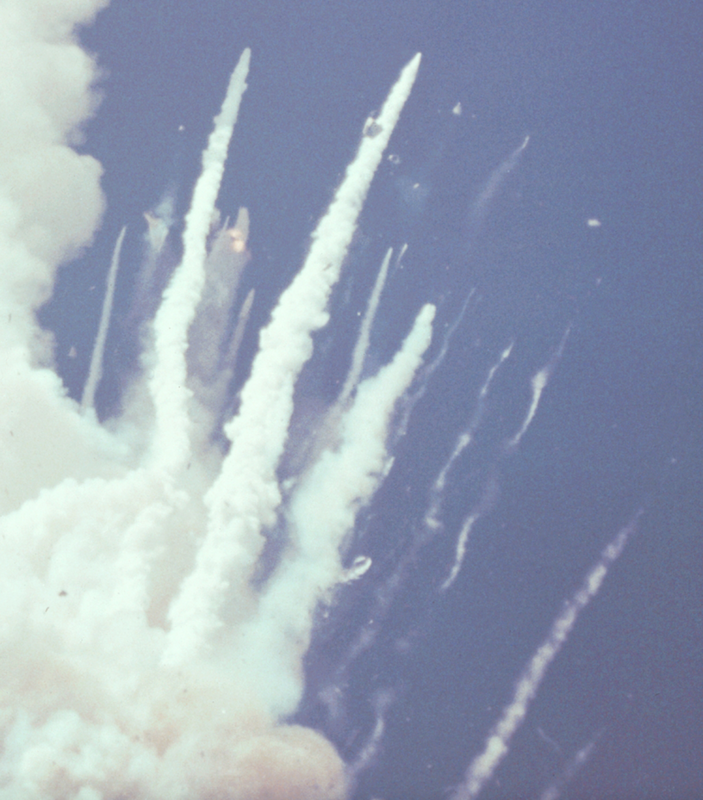 The crew cabin, with its seven astronauts aboard, broke away from the disintegrating shuttle assembly and continued upward for another 25 seconds to approximately 65,000 feet (19,080 meters), then began a long fall to the ocean below. 2 minutes 45 seconds after the explosion, the cabin impacted the surface of the Atlantic Ocean at 207 miles per hour (333 kilometers per hour). The entire crew was killed. I watched this terrible tragedy as it happened, live on television. I will never forget. 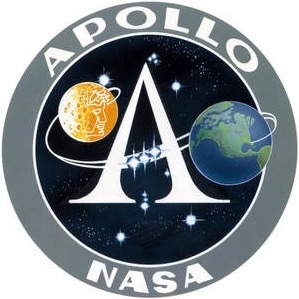 27 January 1967: During a “plugs out” test of the Apollo 1 Command Module, two weeks ahead of the scheduled launch of the Apollo/Saturn 1B AS-204—the first manned Apollo Program space flight—a fire broke out in the pressurized pure oxygen environment of the capsule and rapidly involved the entire interior. 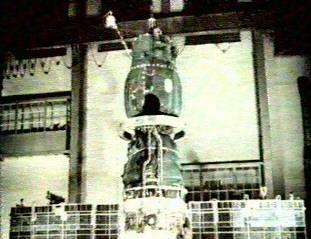 The pressure rapidly built to 29 pounds per square inch (200 kPa) and 17 seconds later, at 23:31:19.4 UTC, the capsule ruptured. 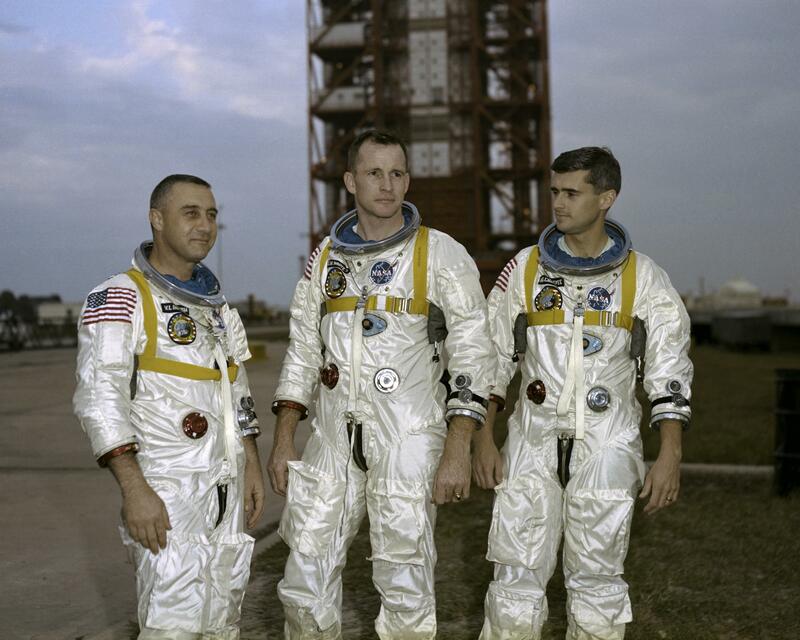 The three astronauts, Lieutenant Colonel Virgil I. Grissom, United States Air Force, Lieutenant Colonel Edward H. White II, United States Air Force, and Lieutenant Commander Roger B. Chaffee, United States Navy, were killed. 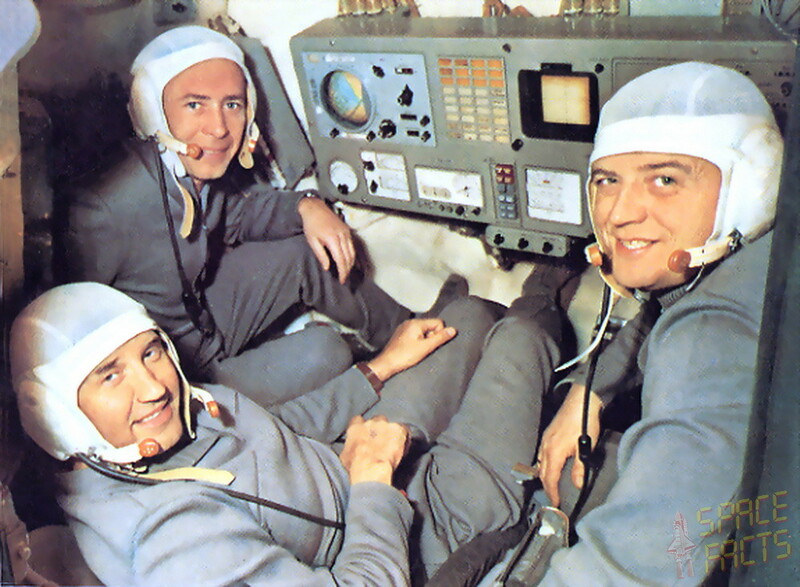 30 June 1971: The Soyuz 11 crew, Cosmonauts Georgiy Timofeyevich Dobrovolsky, Vladislav Nikolayevich Volkov and Viktor Ivanovich Patsayev, ended their 22 days aboard the Salyut 1 space station in Earth orbit and began their return to Earth. At 2128 hours on the 29th, they undocked and completed three more orbits while they prepared for reentry. At 0135 hours, the Soyuz spacecraft retrorockets fired to decelerate the ship so it would drop back into the atmosphere. 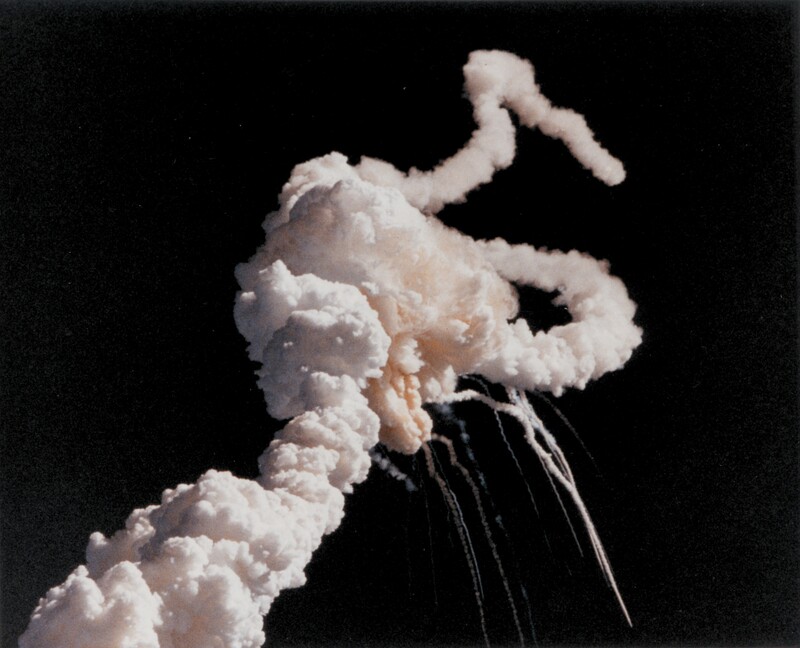 12 minutes, 15 seconds later, at an altitude of 104 miles (168 kilometers), a series of explosive bolts which connected the descent module to the service module detonated. They were intended to fire individually to limit the force on the capsule. Instead, they all fired simultaneously. The impulse caused a seal in a pressure-equalization valve to fail and the capsule depressurized. Within 3 minutes, 32 seconds, the capsule’s atmospheric pressure had dropped to zero. The cosmonauts were not wearing pressure suits. They died in less than one minute. Georgiy Dobrovolsky, Vladislav Volkov and Viktor Patsayev are the only people from Earth to have died in space since manned space flight began, 12 April 1961, with the flight of Yuri Gagarin. 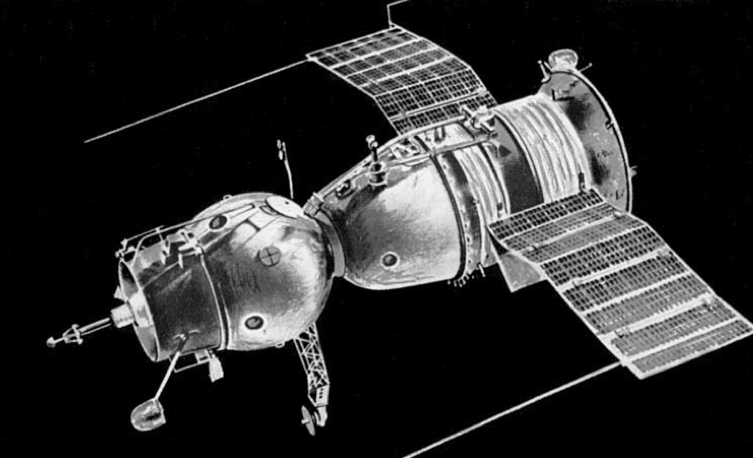 23–24 April 1967: At 00:35:00 UTC, 23 April, Soyuz-1, the first manned flight of the Soyuz 7K-OK spacecraft, was launched from Baikonur Cosmodrome Pad 1/5 (Gagarin’s Start). On this first test flight, only one person was aboard the craft, which had been designed to carry three cosmonauts. Colonel Vladimir Mikhailovich Komarov was the pilot. He had previously flown Voskhod-1, a 24-hour mission, in 1964. The mission plan called for a second spacecraft, Soyuz-2, to be launched on the 24th, with a three-man crew. A rendezvous in orbit would be made. Soyuz-1 was not ready to be flown. 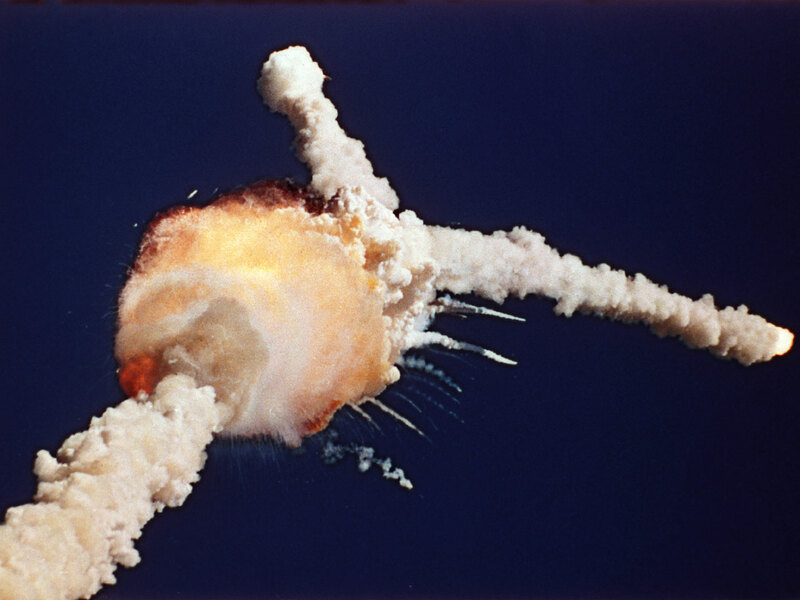 More than 200 faults were known, but the pressures brought about by politics required that the launch proceed. On reaching orbit, two solar arrays were to deploy to provide electrical power for the spacecraft’s batteries. One panel did not deploy and this severely limited the power available. The Soyuz stabilization system relied on sensors which would detect certain stars to provide orientation, but the failed solar panel covered them. Within a few orbits the system failed completely. Komarov used the ship’s thrusters to manually control stability, but this was only marginally effective. There were also communications difficulties. With electrical power diminishing and reaction fuel being spent, the main goals of the mission could no longer be achieved. After 13 orbits it was decided to abort the mission. 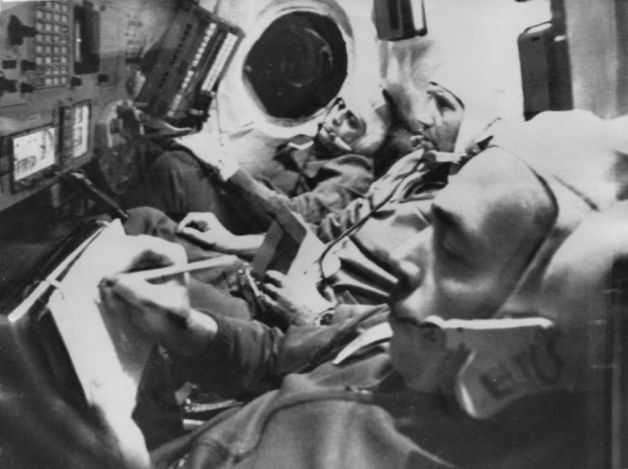 Komarov had to manually align the Soyuz-1 during the daylight phase of orbit 18. Gyroscopic stabilizers were supposed to maintain that alignment as the spacecraft passed into darkness. Komarov would once again align the craft when it came around into light, and hold that alignment through the reentry deceleration. For some reason, the braking engine was 2 minutes, 23.5 seconds late in firing. 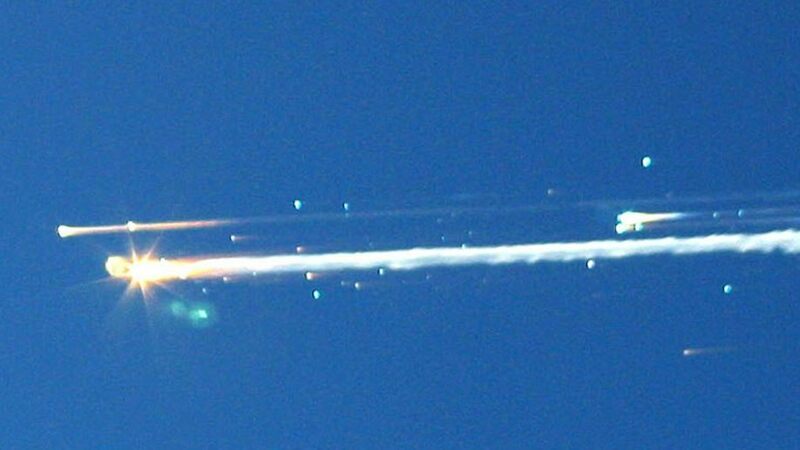 The deceleration burn was planned for 2 minutes, 30 seconds, but an automatic system, recognizing that the gyro system was not holding the proper alignment, cut off the engine 4 seconds early. This meant that the Soyuz would travel farther down range than intended, and would not have slowed quite as much, although it was enough for re-entry. Soyuz-1 impacted the Earth at 03:22:52 UTC, 1.9 miles (3.06 kilometers) to the west of Karabutak, Orenburg Oblast, at speeds estimated at from 30–40 meters per second (67–89 miles per hour) to as high as 640 kilometers per hour (398 miles per hour). 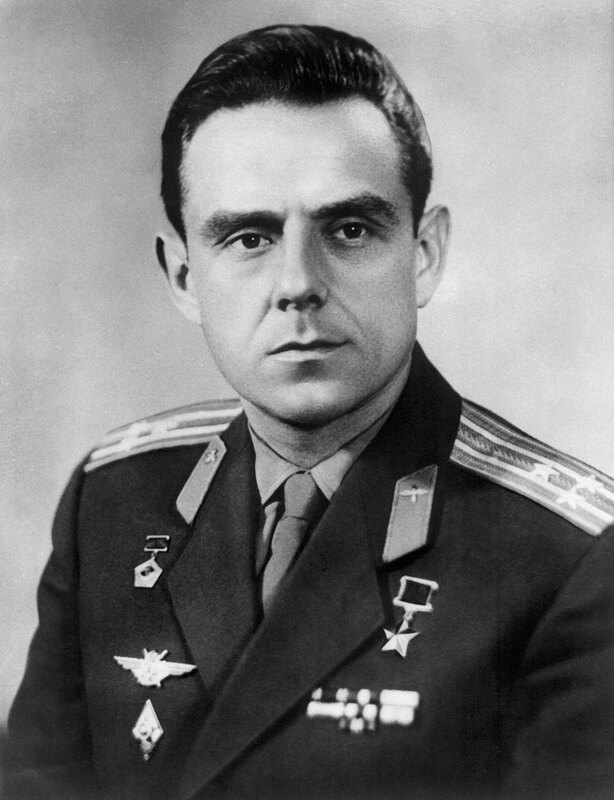 It is believed that Vladimir Komarov died from injuries sustained at this time. He was the first person to die during a space flight. A rescue helicopter quickly located the Soyuz reentry module which was lying on its side in an open field with its parachute alongside. The rescuers reportedly saw the soft-landing rockets fire, which they should have done just before the module’s impact. The module was on fire and by the time rescuers reached it, it was fully involved and molten metal was spreading on the ground. After expending their fire extinguishers, the rescuers tried to put of the fire by shoveling dirt on to it, but the the capsule completely collapsed. Doctors on the scene pronounced Vladamir Komarov dead, with injuries to his skull, spinal cord, and numerous broken bones resulting from the impact. His body was completely burned. A postmortem examination at Moscow confirmed that the cosmonaut had been killed by the capsule’s impact. Lieutenant Colonel Vladimir Mikhailovich Komarov, Cosmonaut. Several theories have been published as explanation for the failure of the spacecraft’s parachute to safely slow Komarov’s descent, though with the craft completely destroyed by fire, it is unlikely that there could be any certainty. The official finding is that the drogue parachute did not apply enough force to pull the main parachute free. A backup parachute was deployed manually by Komarov but it fouled in the drogue ‘chute and did not open sufficiently to brake the craft. Another theory is that a pressure sensor malfunctioned which prevented the automatic deployment of the main parachute. The drogue ‘chute should have been released at that time, but was not, which resulted in the reserve parachute fouling. 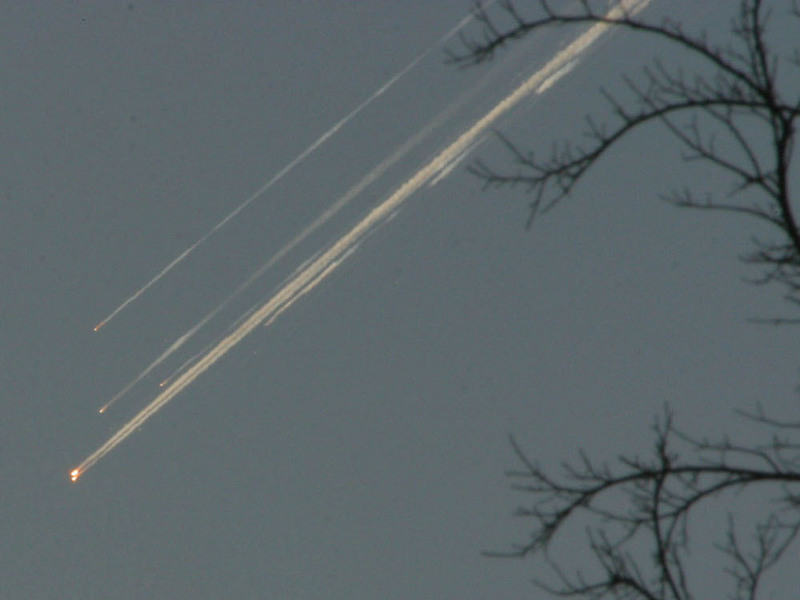 Third is that during an autoclaving operation the parachutes may have been contaminated with an adhesive substance. And another story is this: During the design of Soyuz-1, the thickness of the heat shield was increased, and so the weight of the spacecraft went up. Engineers increased the size of the main parachute accordingly. But the compartment that it was to be stored in remained the same size. The fit was so tight that when the parachute was being installed, technicians had to hammer it into place with wooden mallets. Vladimir Mikhailovich Komarov was born at Moscow, Russian Socialist Federated Soviet Republic (RSFSR), 16 March 1927. His father was killed early in The Great Patriotic War (World War II). At the age of 15 years, he entered the 1st Moscow Special Air Force School and graduated in 1945. He then went to Sasovskoye for initial pilot training, and then to the Borisoglebsk Air Force Pilot School. In 1946 he was transferred to the A.K. Serov Bataisk Military Aviation School. He received his pilot’s wings and was commissioned as a lieutenant in the Soviet Air Force, 10 December 1949. 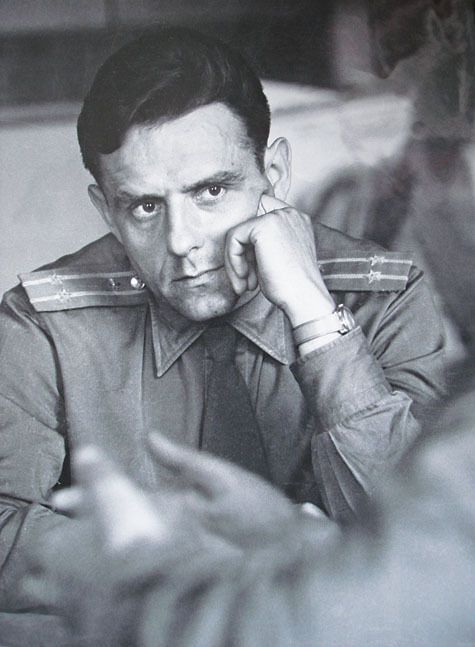 Lieutenant Komarov served as a fighter pilot of the 383rd Fighter Aviation Regiment at Grozny. The regiment was transitioning from the Mikoyan-Guervich MiG-9 turbojet-powered fighter to the new swept-wing MiG-15. While there, he met his future wife, Valentina Yakovlevna Kiselyova, a recent graduate of the Grozny Teachers’ Training Institute. They were married in 1950. They had two children, Yevgeny and Irina. In 1952, Senior Lieutenant Komarov was assigned as senior pilot of the 486th Fighter Aviation Regiment, flying the MiG-15 and MiG-17. In 1954 he applied to attend the N.E. Zhukovsky Air Force Engineering Academy, from which he graduated in 1959. Promoted to Senior Lieutenant-Engineer, he was assigned as a test pilot at the Central Scientific Research Institute. 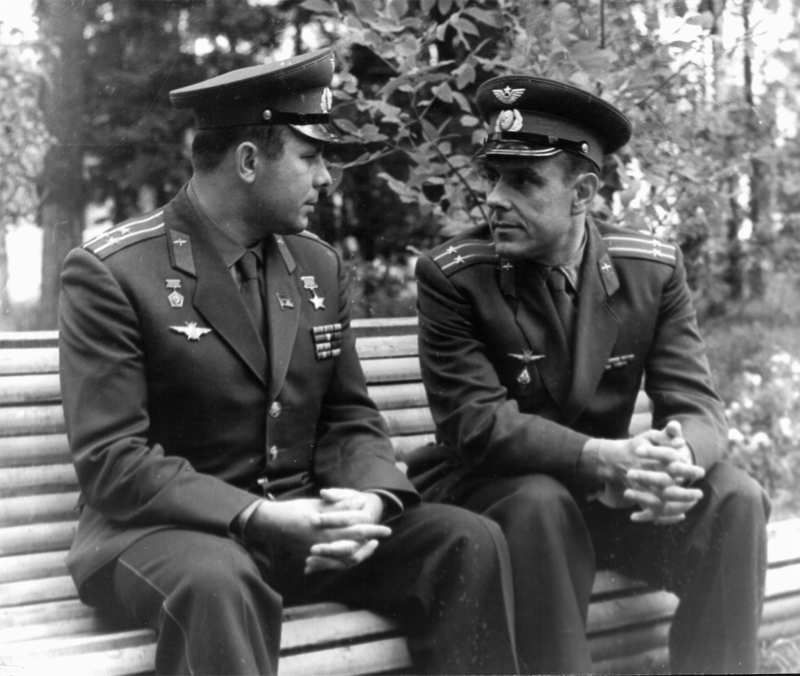 After promotion to captain-engineer, 3 September 1960, Komarov was selected for the first group of Soviet cosmonauts. He was older than most of the group, but was well liked and respected. 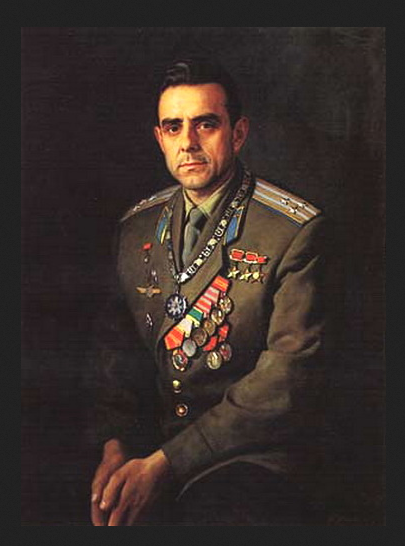 Colonel-Engineer Vladimir Mihailovich Komarov, Pilot-Cosmonaut of the USSR, was twice named Hero of the Soviet Union. He had also been awarded the Order of Lenin, Order of the Red Star, as well as several other decorations. Following a state funeral, the cosmonaut’s ashes were interred in the Kremlin Wall at Red Square.